The second school term following the Christmas vacation is normally packed with sporting activities leading up to the most anticipated sporting event on the calendar, Intercol — the Intercollegiate Games. This year may be different as teachers continue work-to-rule action. 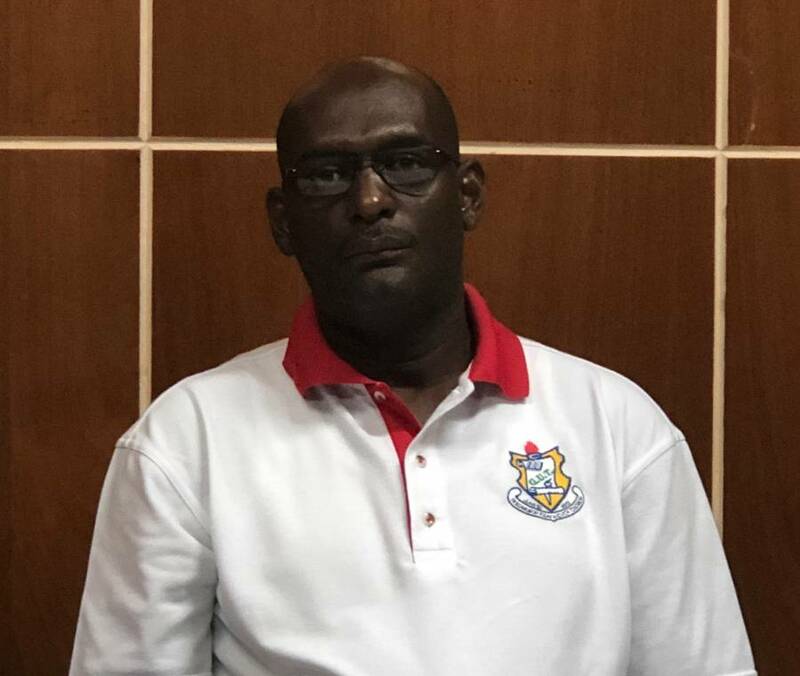 President of the Grenada Union of Teachers (GUT), Lydon Lewis said the full impact of the work-to-rule staged by the nation’s teachers would be felt soon enough by the government, as the GUT stands its ground on the issue of gratuity. 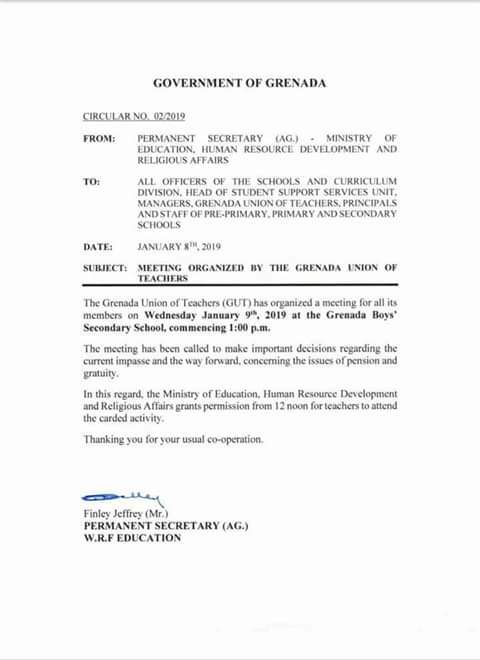 The GUT calls upon all teachers to attend an important meeting today Wednesday, 9 January 2019, at the Grenada Boys Secondary School (GBSS) to discuss the way forward regarding the ongoing impasse. Subsequent to the pronouncement by Minister Bowen, a letter from Finley Jeffrey, Permanent Secretary of the Ministry of Education was issued granting teachers permission from noon to attend the meeting.